Are Wood Pellet BBQ’s Right For You? Today’s backyard chefs have more options than ever when it comes to buying charcoal, gas and wood pellet BBQ’s. Each one servers a purpose, price point, awesome rotisserie, ease of use and even safety. Wood pellet BBQ or wood pellet grills as some companies call them, are truly great cooking devices. Cooking over a gas grill will barely enhance the grilled foods flavour. Usually the use of sauces and spices are used to add flavour. You will get great grill markings from the direct radiant heat. Using good lump charcoal has an undeniably great flavour and plays a huge roll in backyard cooking. Wood pellet grills in my opinion greatly enhance the flavour of the food you are producing. Depending on the cooking time and temperature, you can get great smoke flavour in foods that take to smoke well, ie. pork, poultry. Are you the consumer ready to make the big jump, push your gas grill aside and make room for a new BBQ on your deck? It’s not the biggest decision you will ever make in your life, but your family and friends might thank you. My daughter tells me she wants “Traegered chicken“. Traeger is a verb in our house. I started my wood pellet journey with Traeger, and the rest is history. It sounds a bit crazy, but wood pellet grills have changed how our family eats and entertains. Prime rib cooked slowly over wood is truly a work of art. It is something you just can’t get from a gas grill. Are they the best? Not to a charcoal enthusiast. They are another great option. Before I move on I should note, I interchangeably use the terms “wood pellet grill”, “wood pellet BBQ” and “wood pellet cooker”. They all mean the same thing within the context of this article. But in real life, out on the patios, they are different things. What Kind of Wood Pellet Grill Should I buy? Like the gas grill industry, wood pellet grills now have a multitude of makes and models. 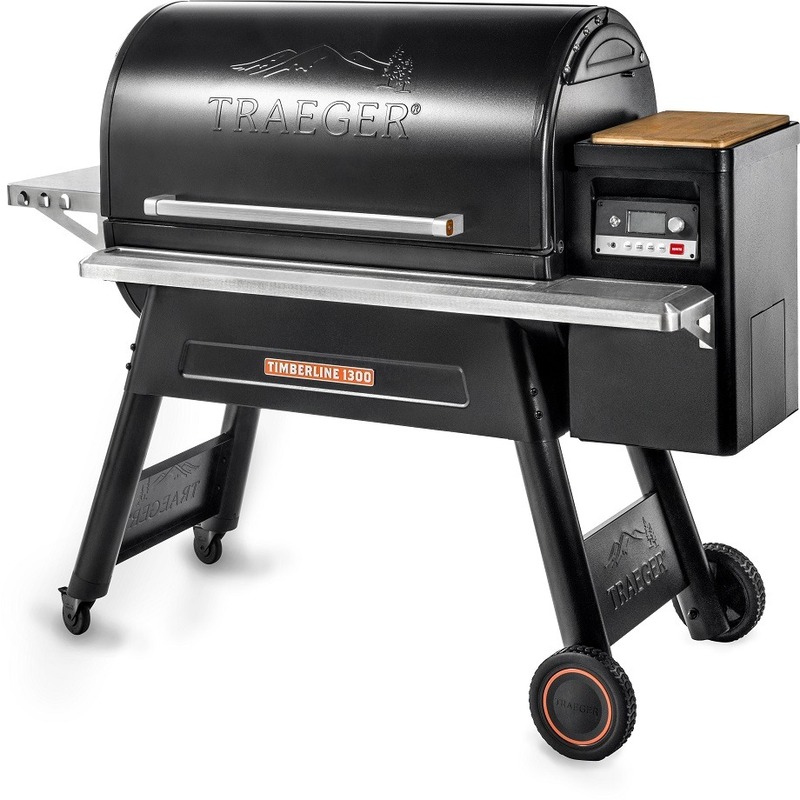 Be it a high end Memphis Grill or Mak 1 or 2 star general grill or the lowly Traeger, buyers now have truly great variety in price and quality. It is now definitely a buyers market with many exciting choices. Companies like Yoder (See photo at top), and Lousiana grills have stepped up to the plate with great products. You can see more wood pellet grill at here. All wood pellet grill manufactures offer minor differences in their products, trying to out do their competitor. The high end grills have top notch components, from the electronics to the auger and fan assemblies. The low end grills usually have thinner gauge steel and cheaper electronics. I have personally used a cheap wood pellet grill for many years and really enjoyed cooking on them. I saved money and got away with it. The big names in some cases have contracted out there manufacturing in China and the quality has suffered. This was the case with Traeger. Buying a wood pellet grill also comes down to what you want to pay. A decision can also be based on what kind of warranty the manufacturer has and also product availability in your area. Not all makes and models are available everywhere, but can be purchased online. Buying it online means you won’t necessarily have local support. Some dealers are authorized resellers who also play the service and support rolls. This can be important. The basics of a wood pellet grill are the same. They all have hoppers, an auger fed firepot with fans. But some have long and some have short augers. Large and small hoppers, large and small cooking areas, thin or thick gauge steel. Talk to your local dealer as most dealers are authorized resellers, meaning they are knowledgeable about the products limitations and as well as qualities. Hopefully you won’t have a salesman who is only driven by a sale. Wood pellet grills are truly great cooking devices and every year a new player steps into the market. Below is a fairly comprehensive list of wood pellet BBQ manufacturers. These are not in any specific order per se. Included in the list below are wood pellet cooker manufacturers who produce very high end cookers. Some of them offer models that cost over $2000 easily, and even more. The Mak and Memphis grills are way up there, as well as the Cookshack grills. These are truly high end, and used in many cases for competitive and commercial purposes. But if you are a real keener and have the money to burn, put one of these on your deck, you will have neighbours coming over regularly. When I thought of gas vs pellet grills I was mostly thinking about heat, I did not know that flavor is involved. Now that reminds me of bacon that is smoked with redwood. I bet cooking some pork chops over redwood charcoal would taste delicious.